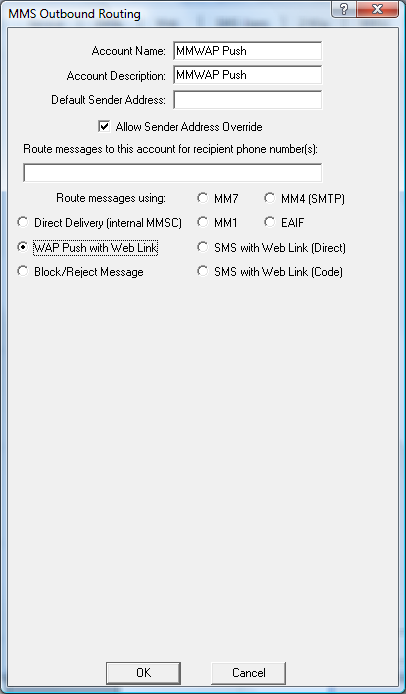 When this route is applied, MMS messages will be converted into Multimedia Content Push messages. NowSMS automatically formats the MMS message content so that it is accessible via a dynamically generated URL on the MMSC, and sends a WAP Push message to the recipient. This WAP Push message includes a direct URL link to allow the content to be retrieved by the receiving device.